Hi, I’m Zach Lewis, a hospitality student at UNCW and the summer intern at C.W. Worth House bed and breakfast. I had the good fortune to go out on a river tour this morning. 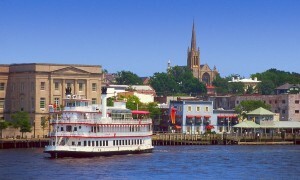 With summer here, it couldn’t be a better time for a cruise on the Cape Fear River. Beautiful scenery, good company and great drinks – what more could anyone ask. Wilmington Water Tours offers all of this and more. 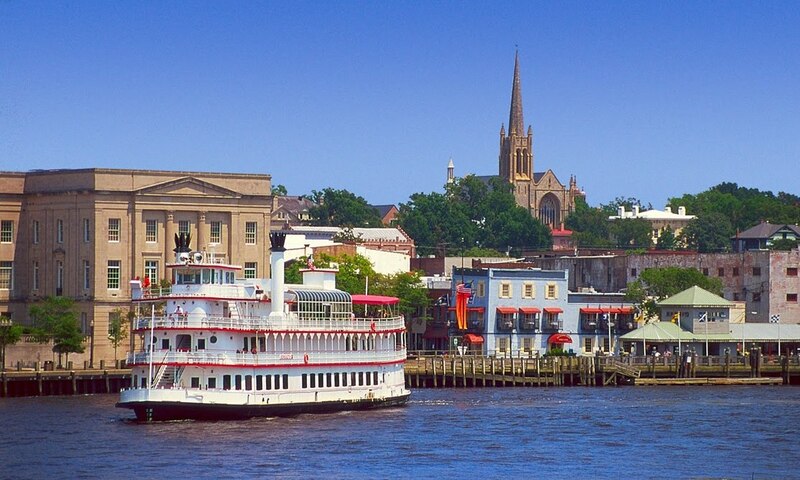 I had a first hand experience aboard Captain Doug Springer’s catamaran “The Wilmington.” Leaving the dock located at 212 S. Water Street in beautiful Downtown Wilmington at approximately 10am, we headed up river. The Blackwater Tour meanders up the Northeast river about an hour past the bluffs; however, we hit an obstacle at the railroad bridge right downtown. Unfortunately the bridge was broken and we were unable to pass. Lucky for all of the guests on board, Captain Doug quickly showed his knowledge of the area and rerouted us to do a tour of Eagle’s Island instead. Captain Doug really opened my eyes to the beautiful wonders the Cape Fear River has to offer. The calm waters made for some great bird watching in the old rice fields which have become splendid natural habitats for the birds and alligators. There are some wonderful kayak trails throughout the marshes along Brunswick river if you like to kayak. The view of the riverfront downtown Wilmington seen from the river is spectacular; we saw houses and other buildings that I had not noticed before. Not to mention the fantastic views you get of the North Carolina Battleship Memorial. Riding under the Cape Fear Memorial bridge and down by the tug boats is also a real treat for anyone who wants to see Wilmington and the river. You can just imagine the days past when the blockade runners came in to bring precious supplies during the civil war. 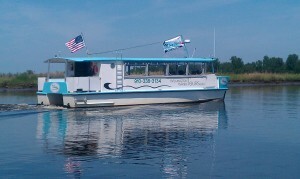 Wilmington Water Tours offers a variety of scheduled cruises, tours and customizable private charters. Tours are offered at all different times of the day starting from early morning to catching a magnificent sunset in the evening. C.W. 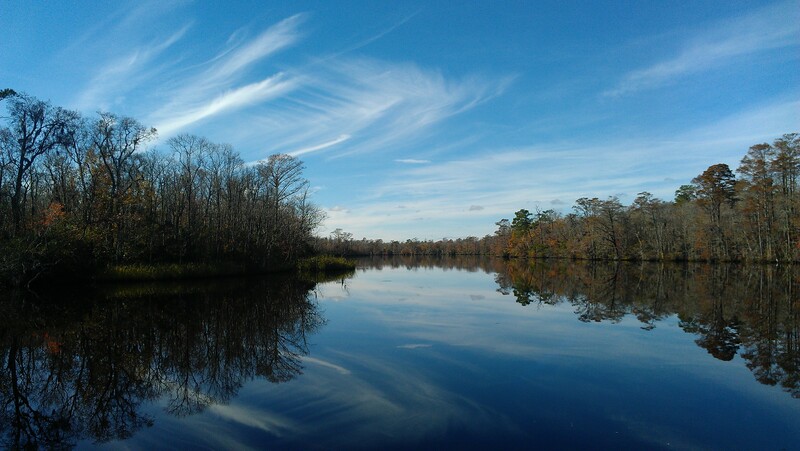 Worth House offers a Wilmington Water Tours package “Just Add Water” where you will get out on the river to enjoy views like these. Go to our website and look for the Just Add Water package…You’ll be glad you did! 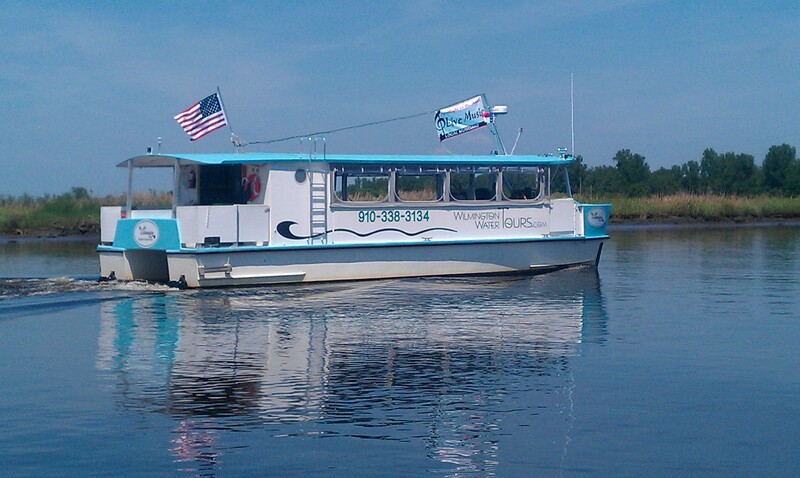 For more information on Wilmington Water Tours click here. This entry was posted in Cape Fear River, downtown riverfront, Uncategorized by Margi Erickson. Bookmark the permalink.